“We upgrade the security at Storskog checkpoint to be better prepared for controlling who enters the country,” says Minister of Justice and Public Security Anders Anundsen. The decision to erect the new fence was taken by the Government on Friday. “It is decided to erect a 3,5 metre high security fence with a gate. The fence will be approximately 200 metre long,” says Tonje Torsgard, Communication Advisor in the Ministry of Justice and Public Security in an email to the Barents Observer. She says the fence will not be barbed wired. A press-release from the ministry reads that the border security fence will be erected because Norway have to take seriously its responsibility following the Schengen-agreement. Minister Anundsen points to events lately showing the importance of keeping track of who are in both Norway and the Schengen area. Last autumn, more than 5,500 asylum seekers, both refugees and migrants, entered Norway at Storskog checkpoint after taking the so-called Arctic Migrant Route via Russia’s Kola Peninsula. Since November 30th last year, not one single asylum seeker has entered Norway at Storskog. 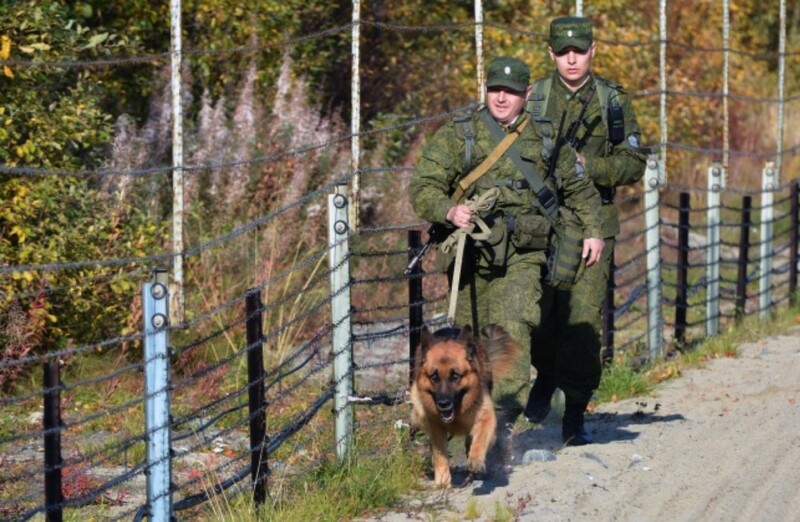 The stop came after Russia’s FSB border guard denied third country residents, not holding a valid Schengen visa to enter the border zone on the Russian side. The new fence will have a gate placed on road E105 on the Norwegian side of the borderline. This is a gate that normally will be open. “The security fence with the gate will in a normal situation not represent any noticeable difference for those crossing the border,” the press release from the Ministry of Justice and Public Security reads. The police in charge of border control has no comments regarding the new fence. “It is the Ministry of Justice that is correct address for those questions,” says press-spokesman Anders Stang Lund with Finnmark Police District in an email to the Barents Observer. Mayor of the Norwegian border town Kirkenes, Rune Rafaelsen, says he doesn’t disagree with the Government’s decision. “We have to follow the commitments in the Schengen agreement, but I hope we will keep a civilian atmosphere at Storskog where cross-border contacts between people are in focus,” Rafalesen says in a phone interview with the Barents Observer. “I hope we in Norway are talking with Russian border officials about the plans for a new fence, so that it doesn’t looks like we are the ones escalating the tense situation,” Rune Rafalsen says. «Russian authorities are informed about the measure, like normal procedures are when building something near the border,» says Tonje Torsgard with the Ministry of Justice and Public Security.